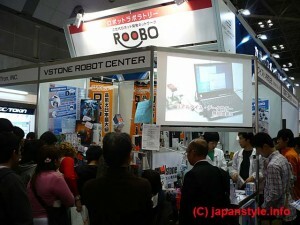 Last weekend, I went to the “INTERNATIONAL ROBOT EXHIBITION 2009” held in Tokyo. 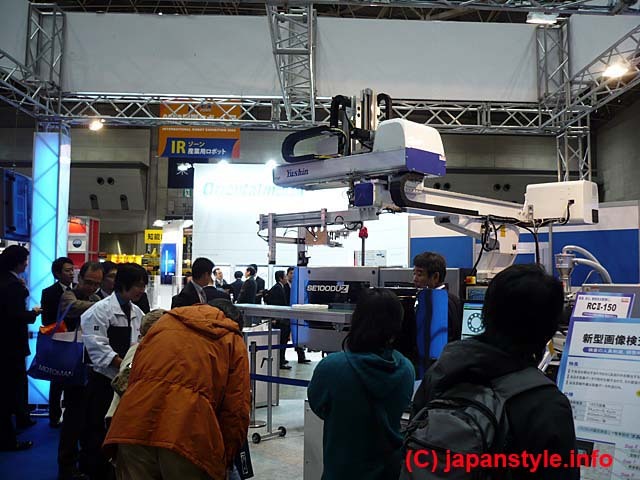 “This show is designed to provide a place to exhibit robots and related equipments in order to enhance market awareness of new technology. While the major companies that joined the show were Japanese businesses, there were also a lot of robot-related companies from overseas. The site bustled with people and robots. 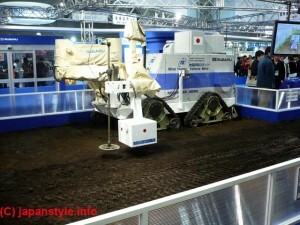 – A well-known car company SUBARU’s mine detection robot. – Fire and Disaster Management Agency’s robot for an extinction facility. What I was impressed the most was the operation machine that can minutely sort. It’s so amazing how it conveys things precisely. 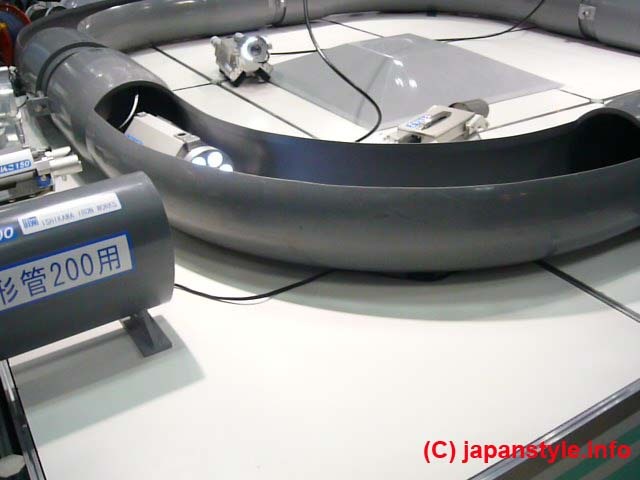 This one in the picture is called “mogurinnko”, which works in a narrow pipe. It looks like a mole. There was a robot that made me want to take it home. 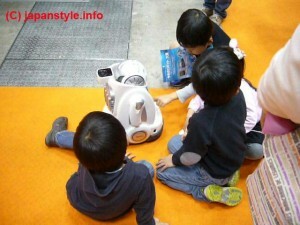 It’s a toy robot which moves like a human, so cool. 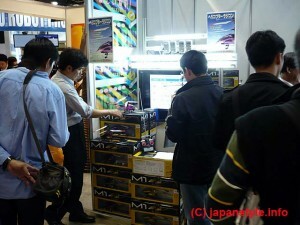 Actually, the people who saw the demo bought it one after another; even it costs nearly 30,000 yen (about 348 US dollar). 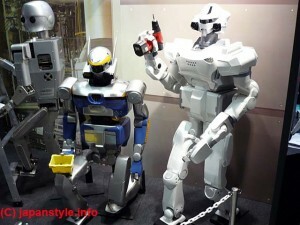 The Korean robot looks dancing along with the music. It was fun to watch. I saw the baby seal robot that JAPAN Style introduced before (see this article). 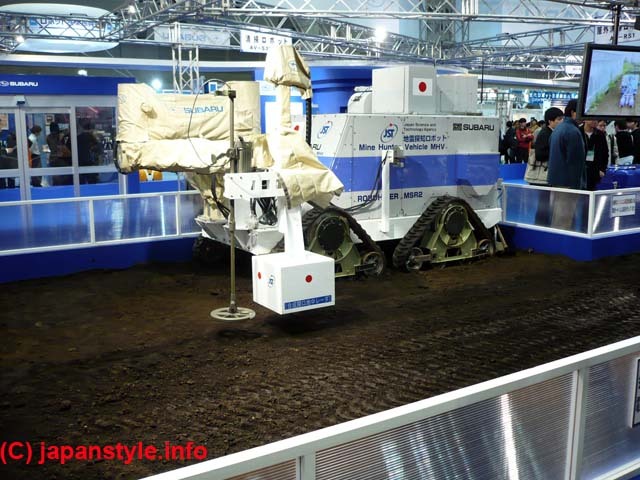 The world most ecology robot, cardboard robot!! It was created for POP displays or ads. There was a robot fight going on but I couldn’t take any picture because of so many crowds. Because it was Saturday, there were lots of children and the toy booths got more attention. It’s fun to see the robots that we can’t see so often. I enjoyed the exhibition a lot. Although the all robots got high potential, robot pets are especially promising, I think. What I hear often is that because robot pets don’t need to be feed or taken for a walk, they are in demand by elders living by themselves or nursing homes. 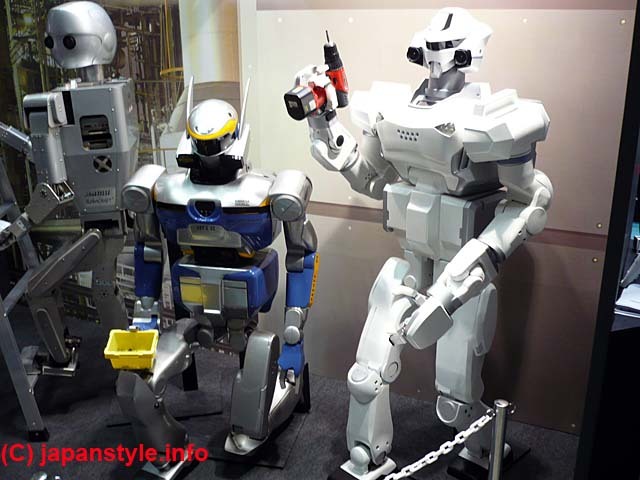 The robot technology is impressing but depending on robots too much might not be so good. What if the world becomes like the American movie “i ROBOT” ?? It scares me.